30A Communities make up the beauty of coastal home ownership along 30A. Every community offers something unique in style, design, landscaping, amenities, and sentiment. 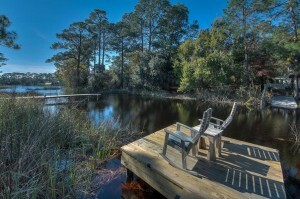 Looking for investment property in Santa Rosa Beach, second home, or retirement? You are at the right place! The communities along HWY 30A offer lifestyles for all. Watersound: This serene gated community with over 1.5 miles of white sandy beaches is perfectly positioned between coastal dune lakes and rolling dunes. WaterSound has a variety of housing including cozy cottages, condominiums with beautiful Gulf views to Nantucket style luxury homes. A great community for investors, second home owners and full time residents. Rosemary Beach: This unincorporated, 105 acre master planned 30A community anchors the East end of 30a with exquisite architecture and European flare. Rosemary was founded in 1995 and has become one of the most sought after communities along 30a. The thriving town center has an abundance of restaurants, including Wild Olives, Edwards, Paradis, Cowgirl Kitchen, The Pearl and others, specialty shops, a bookstore, a surf shop and more. Real estate offerings include Luxury Homes, condominiums and a private residence club. Alys Beach: You will know when you enter this luxury, 158 acre resort town, as Hwy 30a is lined with towering Palms and the homes are stunning white stucco architecture. Because all of the brickpaver streets orient toward the Gulf, Most home sites offer some glimpse of the emerald Gulf waters. Alys’ architectural style gives 30A Communities the vibe of Bermuda, Guatemala and Antigua because of the courtyard style living and the brilliant white stucco. Home offerings available range from courtyard style homes, compound style homes, condominiums and individual custom homes. Seaside: Over 35 years old, Seaside has become 30a’s Central Hub and was the first master planned development in the area. All homes are traditional wood framed cottages with metal roofs, white picket fences, natural indigenous landscaping, painted in vibrant beach colors and each has a “Name”. The town is home to the largest area charter school, the infamous air stream trailer food trucks, Bud n Alleys and the Seaside rep.
Seagrove Beach: This laid back beach community is located conveniently in between the Seaside and Seacrest areas of Highway 30A. There is an abundance of oak tree lines streets featuring both small beach bungalows, to luxury beach homes. Enjoy some of 30A’s finest dining and some of the most unique shopping areas you will see. Seagrove Beach is also home to two coastal dune lakes and has access to one of the area’s incredible state parks. Grayton Beach: “Nice dogs, strange people” is seen on many signs around this very popular little beach town. Being One of the oldest of 30A communities along Scenic Highway 30A, it is filled with character. You will see funky beach cottages, dating back over 100 years, brand new Luxury homes and be able enjoy the only beach access where vehicles are allowed on the beach. Being that vehicles are allowed on the beach here, the local fishermen can take you on a deep sea fishing trip straight from the beach! Grayton Beach is also home to The Red Bar, the locals AND tourists favorite place for libations and live music, many people describe the area as “friendly” and “unique’. Blue Mountain Beach: Named by the Indians for the abundance of Blue Lupine that grows here, Blue Mountain Beach is also the highest elevated area along Scenic Highway 30A. This area has a little bit of everything: quaint beach cottages, large luxury homes, fantastic condos, great restaurants and shopping areas. Gulf Place, in the heart of Blue Mountain Beach, is home to great artists and live music. Walk across the street to Ed Walline Beach Access to enjoy the sugar sand beaches and emerald waters that this area is famous for.